You save time and money. 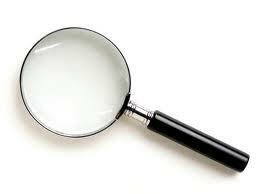 A Private Investigator has resources and contacts not available to the public sector. Initial consultations are free. What should I know before hiring a Private Investigator? When hiring the services of a Private Investigator, it is paramount that you determine if the investigator is properly licensed by their State or County. Certain requirements need to be met in order to become a Licensed Investigator, including six thousand hours of documented work experience and passing a rigorous state mandated test. You have the right to see the investigator's actual license. Make sure it is current and has not expired. The smaller the licensing number, the longer the investigator has worked in the profession. This is your assurance that the investigator you hire has conformed to the laws of their State or County. It is strongly advisable that you ask if the Licensed Investigator carries General Liability and Errors and Omissions Insurance. You have the right to request a copy of the investigator's insurance declaration page for your records. At G.A.B. Investigations, you work directly with the principle owner, not a group of inexperienced trainees. The staff used for surveillance are licensed, experienced investigators that have different levels of expertise. Once you contact our office for your free consultation, you will be provided with a conservative cost-effective price, tailored to your specific needs.